This fantastic new project is located in Son Espanyolet, a neighbourhood close to everything: shops, popular restaurants, the Santa Catalina market and Palmas beautiful seafront promenade. 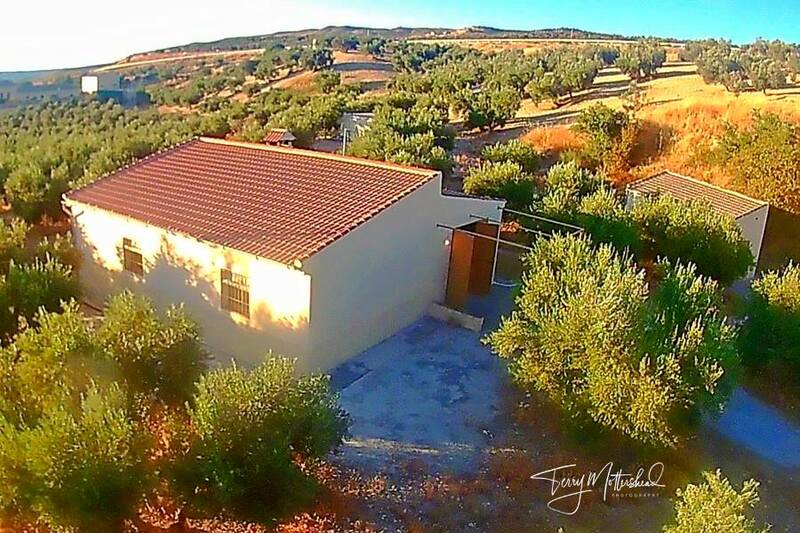 A charming upcoming area with low buildings and a perfect place if you are searching for peace and quiet but still want to live in the centre. 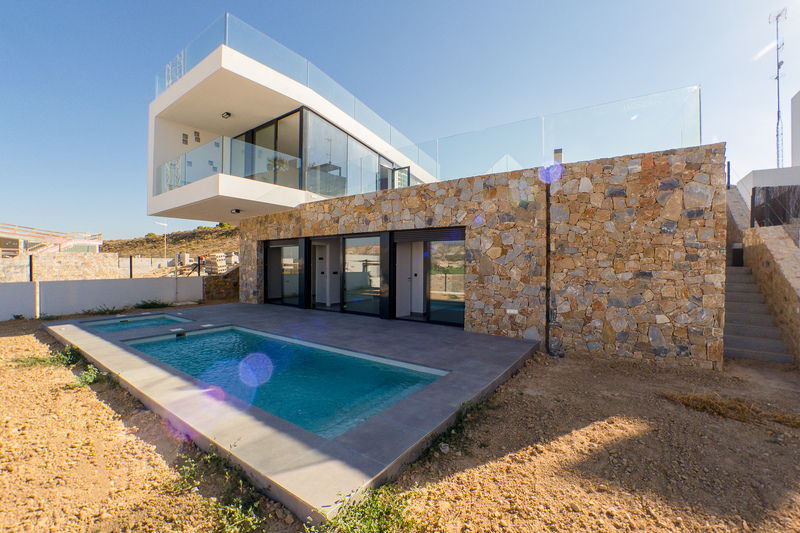 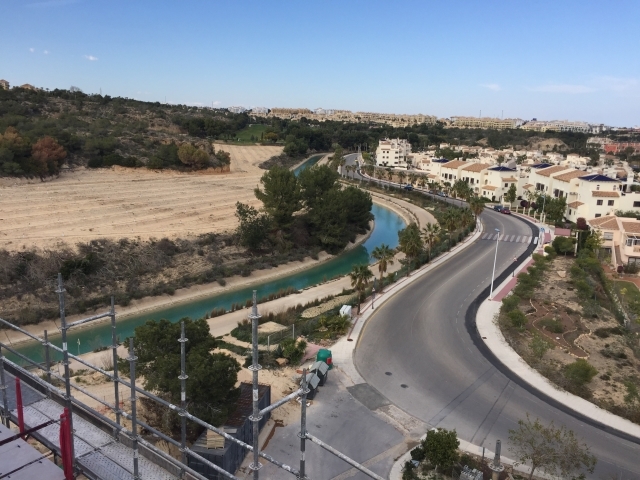 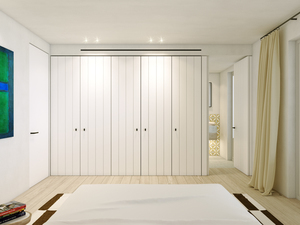 The project is carried out by a reputable team with lots of experience in building in Son Espanyolet. 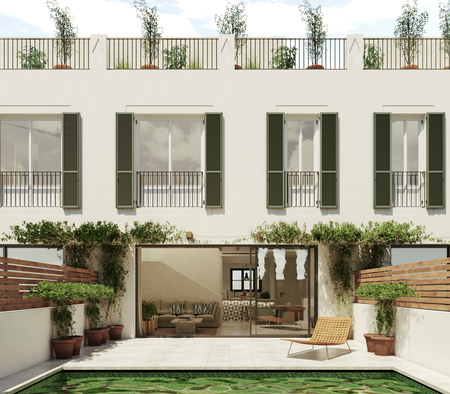 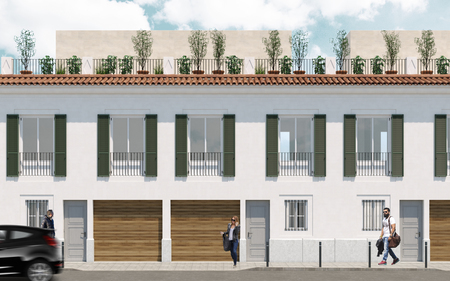 It consists of duplex townhouses with garden, swimming pool, garage and rooftop sun terrace. 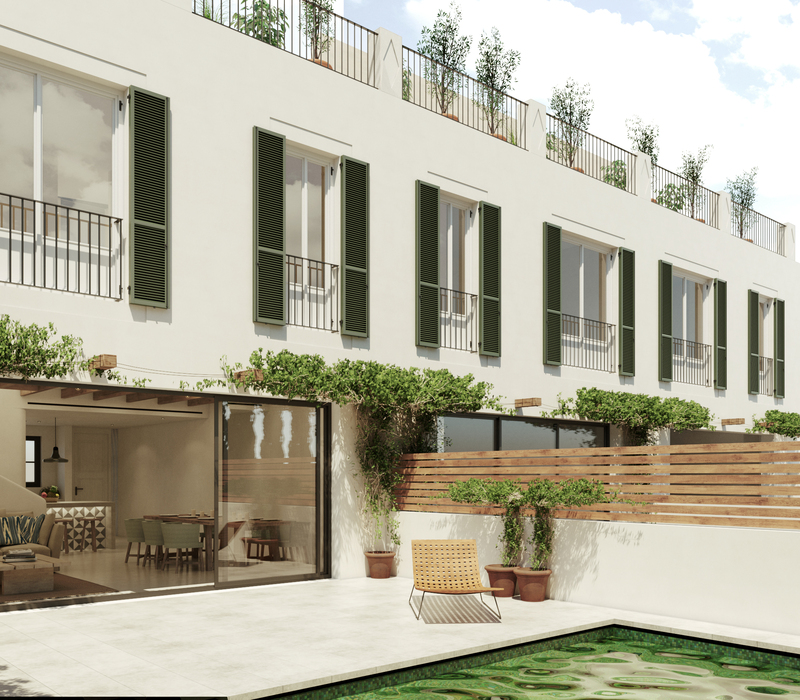 The properties are distributed over the ground floor, first floor and top floor with sun terrace. The total constructed area of this largest townhouse is 270 m2 plus 190 m2 of terraces and garden. 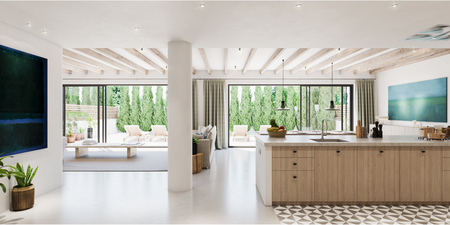 This amazing house will have 4 bedrooms all with en suite bathrooms, an open plan kitchen integrated into the lounge area. 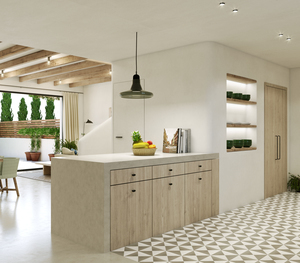 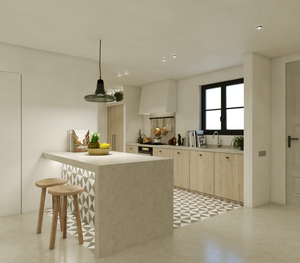 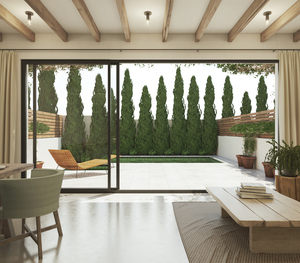 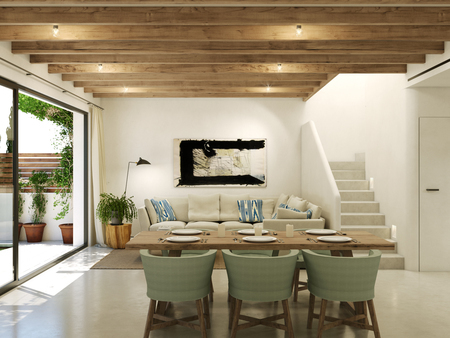 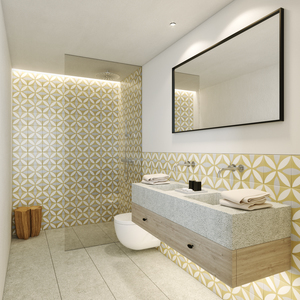 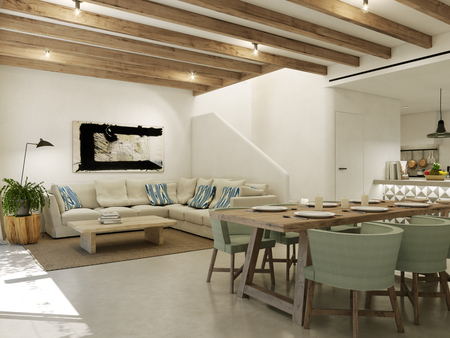 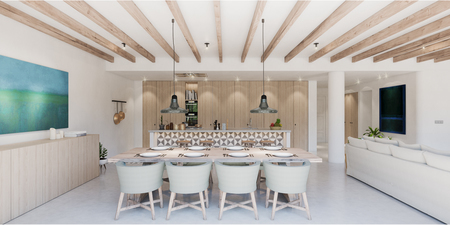 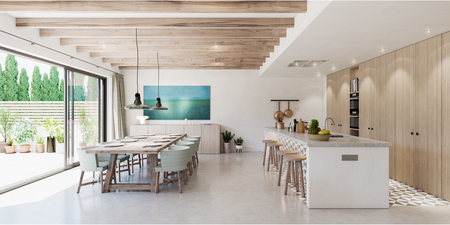 The characteristic Santa Catalina style mixed with modern featuers with natural organic materials and neutral colours, gives this development a relaxing and comfortable environment. Materials of finest quality will be used for maximum comfort combined with functionality and style, which will define this fantastic project. 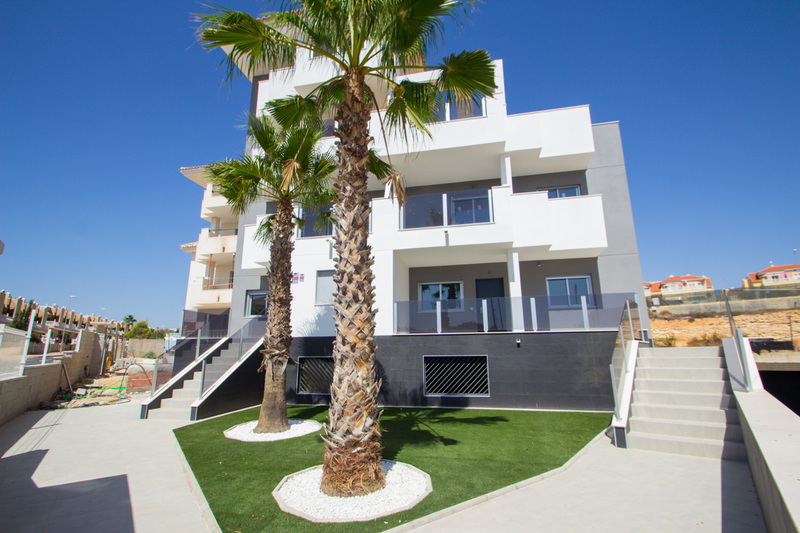 All the properties are equipped with solar panels and climate control to improve their energy efficiency. 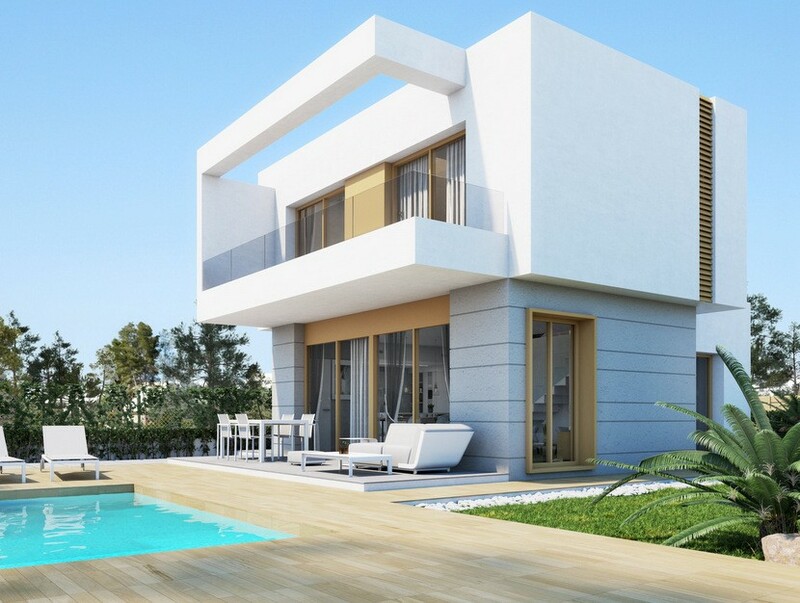 Additional information: underfloor heating, air conditioning, pool with salt hydrolysis and skimmers, alarm system, garage.